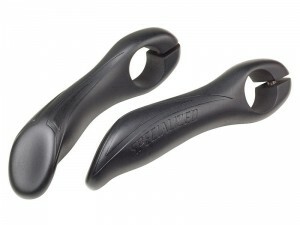 Injection moulded nylon composite construction with soft rubber grip surface. 6061 aluminium alloy clamp interface. Perpendicular clamp design maximises clamping force and minimises pressure points on the handlebars.